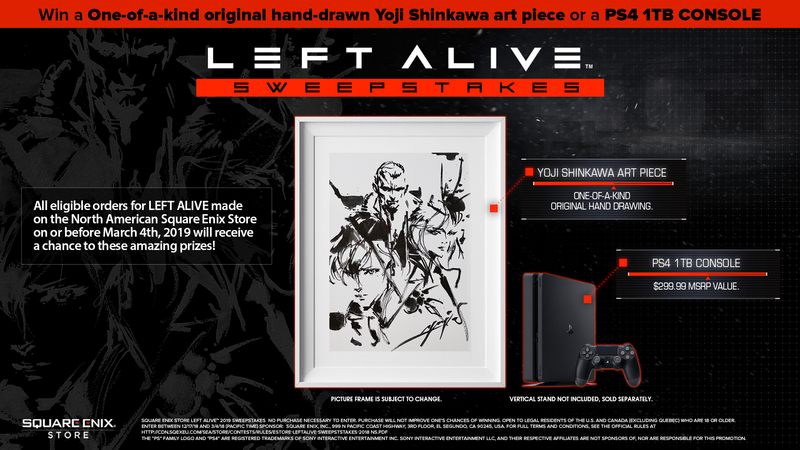 With Left Alive’s release date just around the corner, Square Enix has announced a new sweepstakes for North America that will allow fans the chance to win a couple of neat prizes. 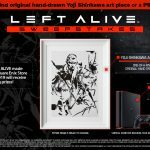 Those who preorder the game from the official NA Square Enix Store on or before March 4th, 2019 will be entered for a chance to win an original framed art piece hand-drawn by Yoji Shinkawa, who is best known for his work and character designs for the Metal Gear series. A timelapse video was also released alongside this announcement, and showcases Shinkawa at work in creating this unique art that features the three protagonists of Left Alive. 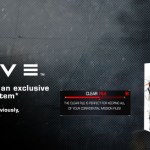 Additionally, all eligible orders will receive an exclusive Left Alive Clear File while supplies last, and will also have a chance to win a PlayStation 4 Slim 1TB console. Click here for the official rules regarding the sweepstakes.